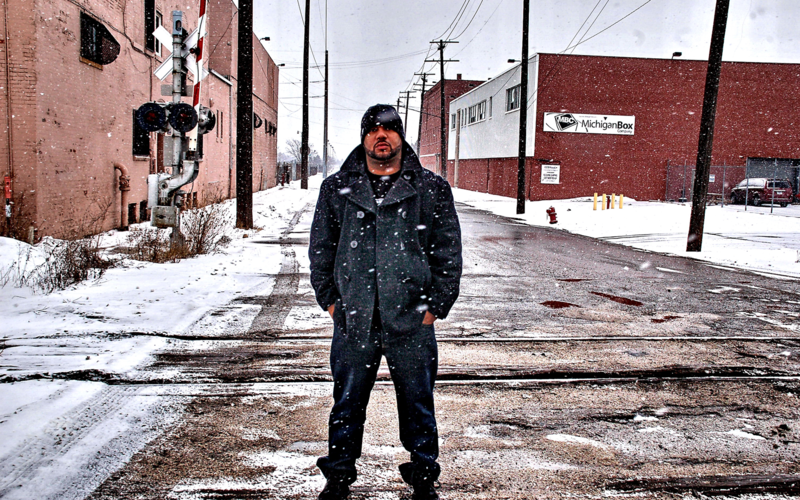 Apollo Brown is a Detroit based hip hop producer with the Mello Music Group and one of our personal favorites. He won Red Bull Big Tune back in 2009 and produced four albums in 2010 alone (The Reset, Brown Study, Gas Mask and Daily Bread) with critical acclaim. He recently released his seventh album entitled ‘Trophies’ (05/01/12) featuring the legendary ‘O.C’ on the mic and he continues to astonish hip-hop heads everywhere with his hard drums, vintage throw-back vibe and original sound (even though he makes it on his classic $200 setup). DISCOSALT : What made you first start producing music? Did you play any other instruments before? APOLLO BROWN : I guess I was just always into the sounds and the music that was behind the emcee or singer. I would always over-analyze a song instead of just listening to it like most people would. I would pick it apart and break it down in my head differently after every listen. I’m a weird dude, lol. I was always interested in the melodies and the moods that those certain melodies can provoke. I wanted to be a part of that in a way that I could create something similar, without having to play instruments. I was never good at reading sheet music and my hand/eye coordination is a little sub-par. So, I started my hand at sample-based music production in 1996. D: ‘Trophies’ just came out, what was it like working with O.C on that? AB: It was easy. “Easy” is a word that he and i both used quite a bit during the process. We’re both fans of each other, and both have a mutual respect for one another’s craft. We met quite a few months before we started making the album. We wanted to build with each other on a personal level and get to know who we’re dealing with. We also wanted to conceptualize and throw some ideas around. Despite being a legend in the game, OC is a real humble dude, a friend of mine. It was good to team up with someone that experienced, who doesn’t hesitate to give advice when it’s needed. D: Can you tell me a little about ‘Dice Game’, ‘Morris Brown’ and ‘Ugly Heroes’? AB: “Dice Game” is an album that I have coming out with another Detroit representer, Guilty Simpson. Just finished that one up and is set to be released late October, early November. It’s the perfect album to round out my year. The other two albums, “Morris brown” and “Ugly Heroes”, have yet to have any information disclosed, other than the names. Very soon though! They’ll both be releases in 2013. Don’t want to get too ahead of myself, so I’m just focusing on “Trophies” and the upcoming release of “Dice Game” right now. What kind of impact would you say Black Moon has had on your life as a musician? AB: Powaful Impak! Black Moon’s “Enta Da Stage” is my favorite album of all time. I’ve owned that album probably 6 times over. From multiple tapes and CDs, to a vinyl copy as well. I know every lyric, every hook, and every beat by heart. That static-filled, dirty, filtered sound was something that I could never get enough of. It was something that Da Beatminerz were champions of. They set the perfect backdrop for Buckshot’s voice and delivery. That album was perfect to me from top to bottom. Very big influence on my style and sound. D: You’re not only a musician but also a photographer, whats your favorite place you’ve ever shot? AB: Yes, I started a media company called Crush Media Group, LLC with my best friend and business partner Kevin Davis back in 2005. I’ve shot hundreds of events, people, contracted jobs, etc. I’ve actually been published in quite a few publications including XXL a few times. My forte these days is shooting other artists, like emcees, producers, poets, and groups, etc. My favorite time shooting was probably when i was one of only two press photographers allowed at Nas’s ‘Hip Hop is Dead’ tour. That was a good time. I could hardly shoot ’cause I was too busy rapping all the lyrics to Illmatic, lol. I got the job done though, and done well. D: Besides Joell Ortiz are there any other rappers out there you would really like to work with? AB: I would definitely like to work with emcees like Jay Electronica, Nas, Phonte, MF Doom, Evidence, Rakim, and the late Big L, just to name a few. D: Your hands are replaced with giant rubber stamps, what do they say? D: Apollo, it’s been an absolute pleasure and I wish you all the best far into the future, any last words? AB: Thank YOU for the good questions! Go get “Trophies”! Stay tuned for “Dice Game”, hitting stores everywhere late October, early November! 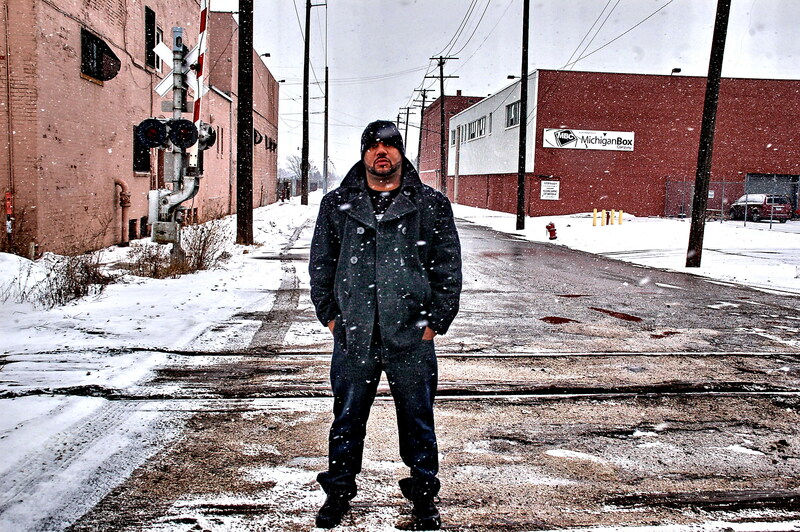 Also, check me out on Twitter: @ApolloBrown, Facebook: Apollo Brown, and on Instagram: ApolloBrown.